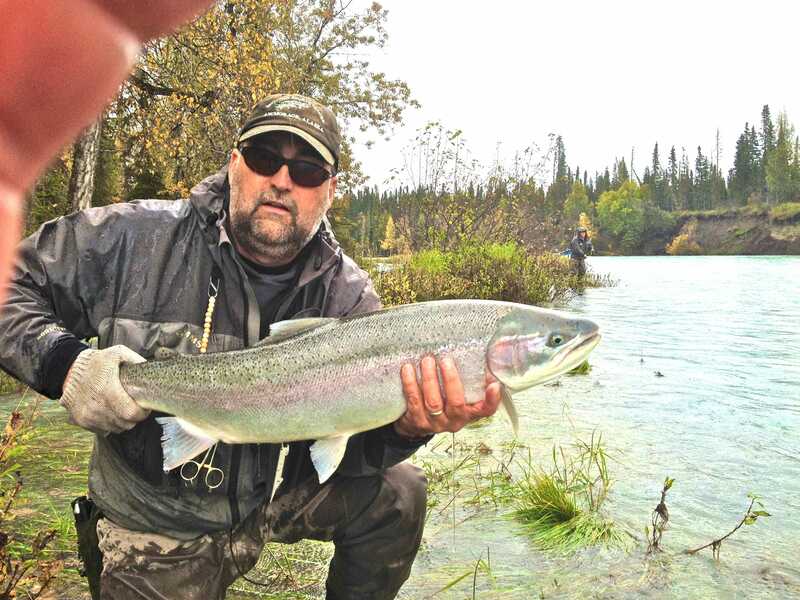 Steelhead enter the Kasilof River in mid-September but the run begins in earnest in October where they mingle with silver (Coho) salmon and can be caught on flies. The run continues on into November or even later with mild weather. Fishing single or double hand rods they are strong vigorous fighters. 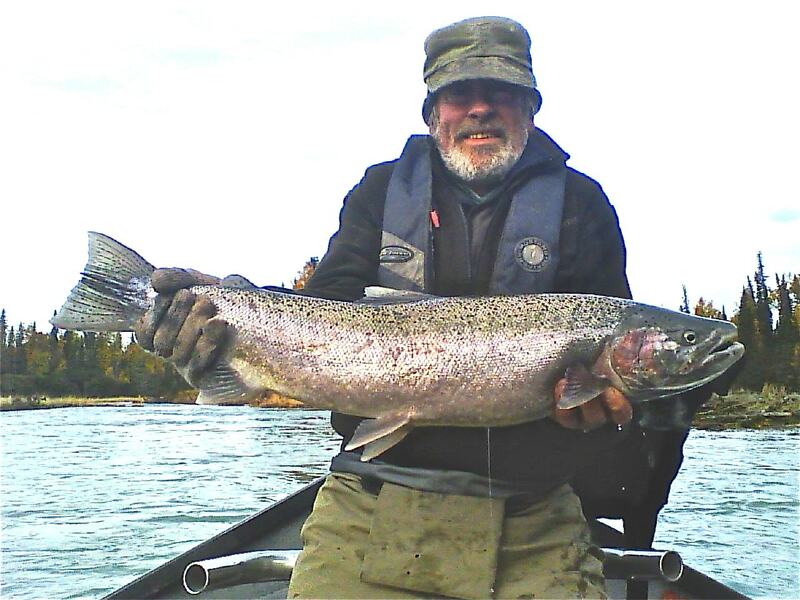 Steelhead run to 34” or more and the Coho salmon to 14 lbs or even more but most of both run between 6 to 10 lbs. Dead drifting beads is a commonly used technique or swinging flies or read on to learn about Spey fishing. Spey fishing using specially constructed flies presented swung across and down on water/rivers where fish hold has been around for a long time. In the late 1800s in Scotland it evolved to using both hands to handle a long rod while casting distances on large rivers to Atlantic Salmon. It gets its name from the river Spey. Atlantic salmon was the species of fish the anglers were pursuing back then but over time it has become accepted that the Pacific salmons would take a swung fly presented properly; Chinook, coho, sockeye, pink, and chum will all respond to the technique but the species of choice for most anglers is the anadromous rainbow trout called steelhead. 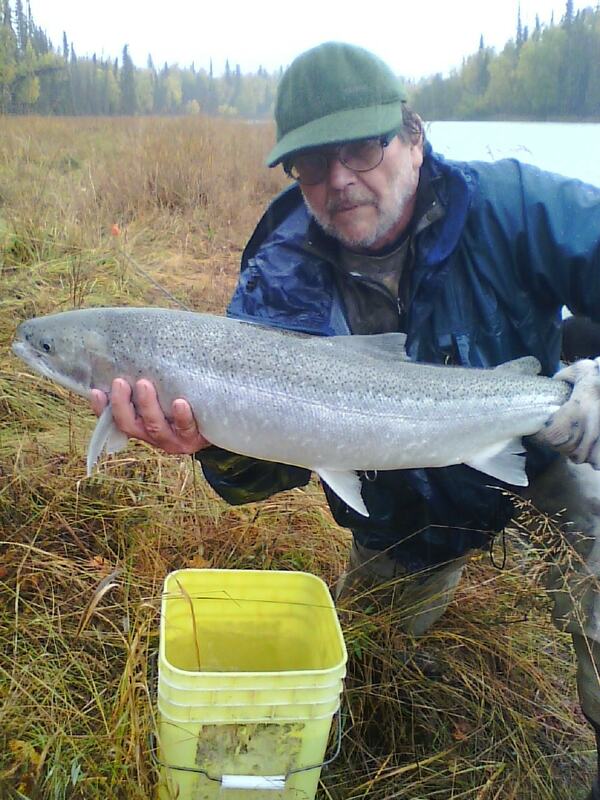 I learned about the long Spey rod or two handed rod after I moved to Alaska in the mid 1970s and have again become engaged with this art of casting here on the Kenai in what some would call my dotage. Using sinking tips and specially designed lines to cast distance and get down to the fish is something I would do by choice for my own enjoyment whatever the conditions. Over the years I have enjoyed the companionship and camaraderie of the folks at Mossy’s Fly Shop in Anchorage, the friendly atmosphere and the knowledgeable employees found there make it the best in Alaska. 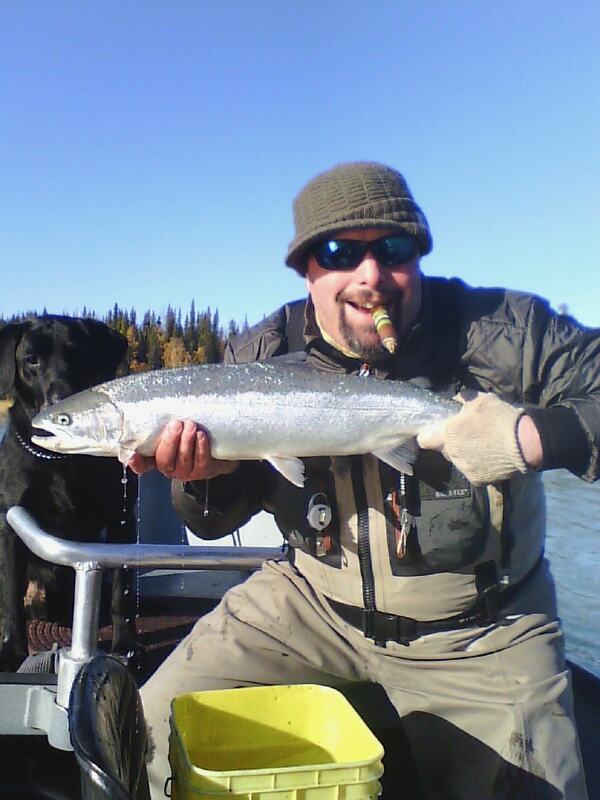 Two Hand Alaska is a phrase first coined there by Spey fishing fanatics that own and frequent the shop. Stop in and see for yourself when passing thru Anchorage on the way to your destination fishing waters, they have excellent up to date, often first hand, information they are happy to share. We can provide tackle and beginning instruction for those anglers wishing to try, or engage their own obsession for this sporting endeavor. We have Echo rods and reels with AirFlow lines and custom tied flies for clients to entice a big rainbow be it anadromous or resident. We also have brands such as Sage Method Spey rods, and Beulah long rods, and Hatch reels. Or bring your own. Way fun!